It can be hard to say goodbye to the place you’ve called home for decades. Case in point: Cindy Landon, widow of beloved actor Michael Landon. 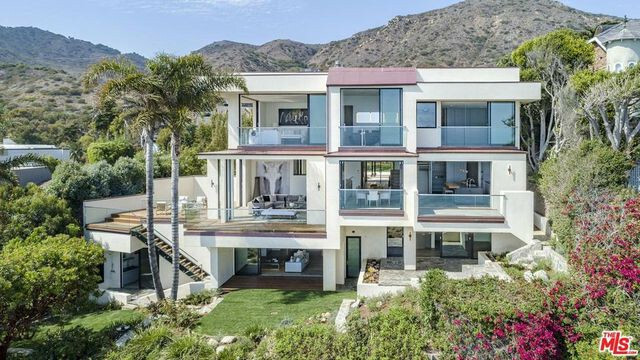 Their son, Coldwell Banker agent Sean Landon, helped Cindy procure one of Malibu‘s most desirable beach properties. She then had the place renovated by designers, to transform it into her dream home. But just as she was on the verge of moving in, she reversed course and decided to stay at the 11-acre ranch she once shared with her husband. 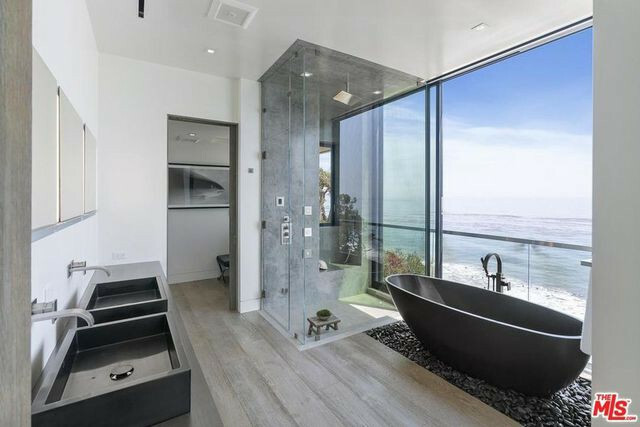 As a result, she’s selling the new, meticulously remodeled beach home. 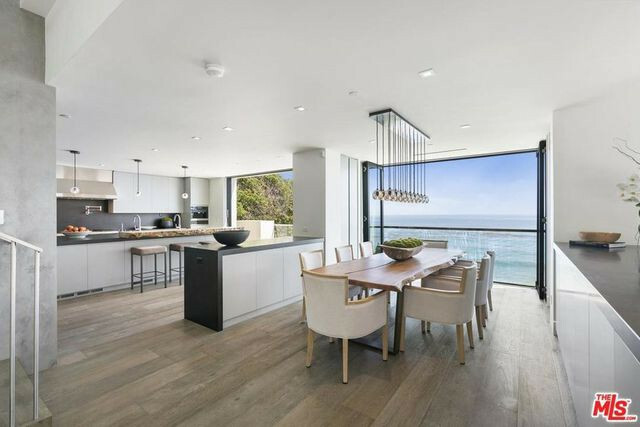 The double-lot property at the top of Broad Beach is now on the market for $18 million. 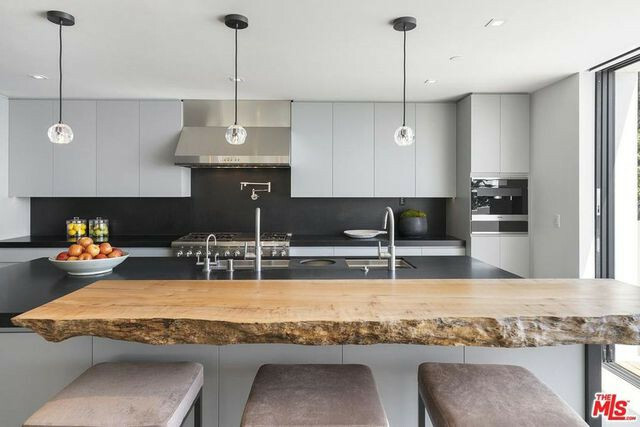 “It was never my intention to make this a flip or a spec home,” says Cindy of the property she purchased for $7.5 million two and a half years ago. 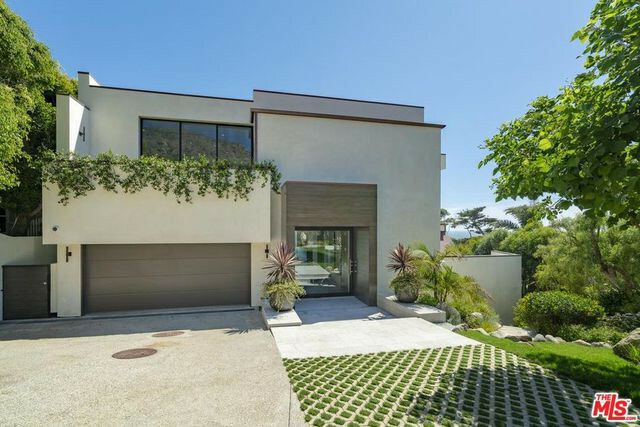 She called in the acclaimed architect Doug Burdge, who has designed luxury estates in the Malibu area, to come up with a concept for the home. She then had the home built by Scott Halley, who’s also well-known for his luxury projects. Landon poured nearly $4.5 million into the project. 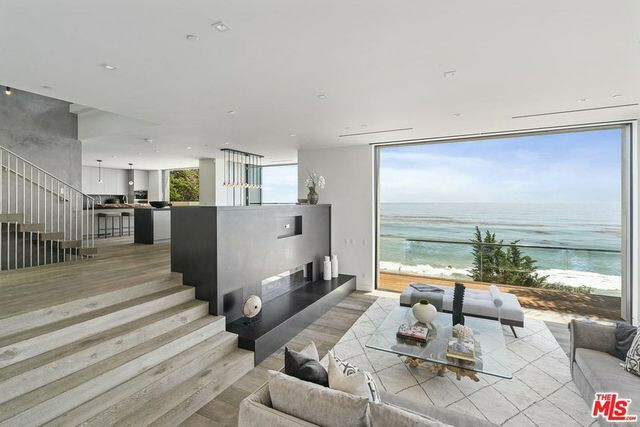 The finished product is a five-bedroom, 5.5-bath beach house with 6,904 square feet of space. There are high-end finishes throughout, and it’s open to the sea, with floor-to-ceiling Fleetwood doors and large windows in almost every room. 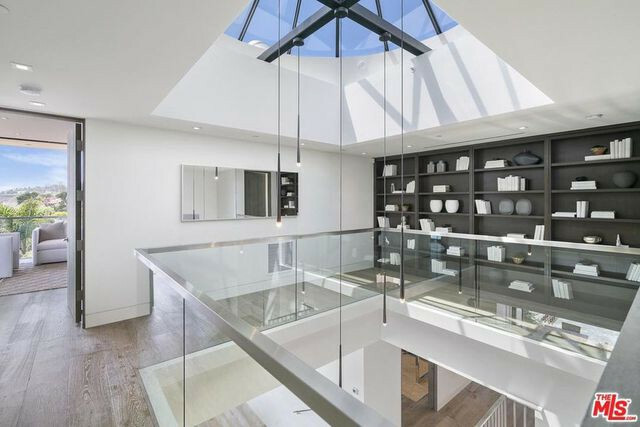 A three-story atrium with a skylight allows additional light to fill the home. 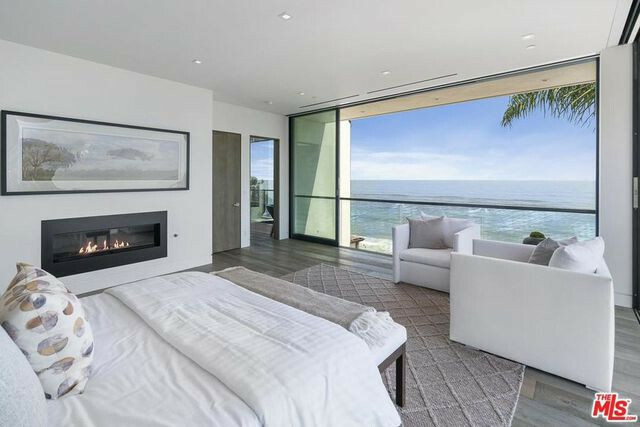 Landon put a spacious master suite on the top floor that has coastline views from both the master bed and master bath. She also added a fireplace, a large walk-in closet, and an infrared sauna to the suite. 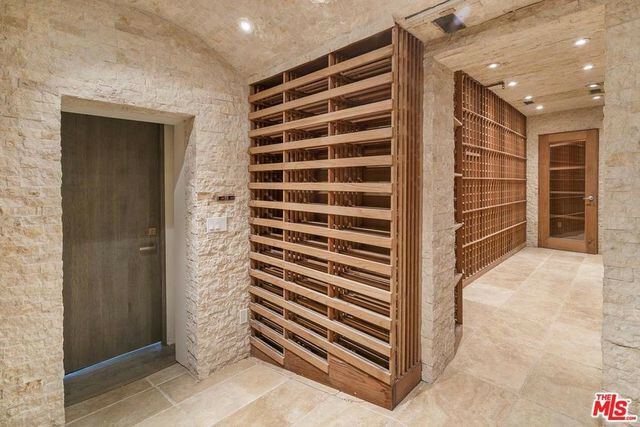 On the bottom level is a wine cellar with an adjacent walk-in humidor, a game/media room with all necessary wiring installed, and a Sub-Zero wet bar. 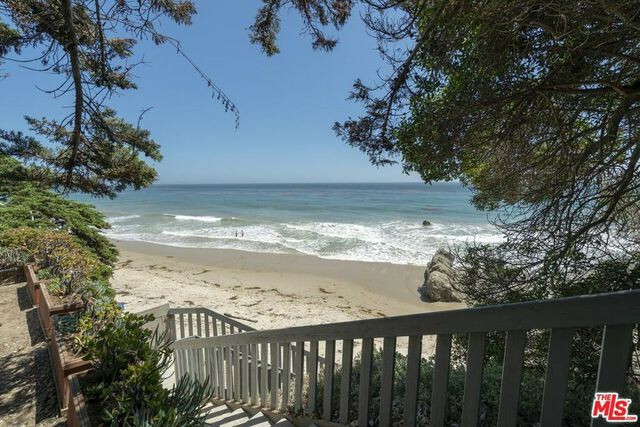 The home is situated on a bluff right above the beach, with access to the sand via a wooden stairway. But the cherry on top of this property’s sundae is the extra parcel of land. 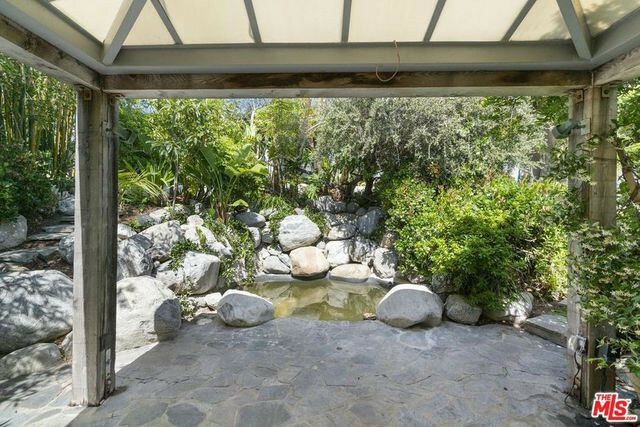 Right now, the piece of land is incorporated into the home’s yard, with a Zen garden koi pond and a gazebo. In the future, it’s possible for a new owner to put a guesthouse or pool on the plot. Cindy says she’d rather have the privacy, the space, and the nature the extra lot provides. 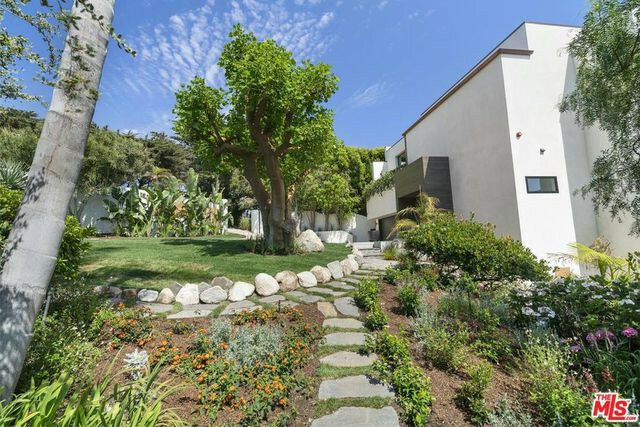 But when the owners want to sally forth from their solitude, the home is but a five-minute walk from Malibu’s vintage market area, with restaurants, shops, and, of course, a Starbucks. Her son Sean laughs. 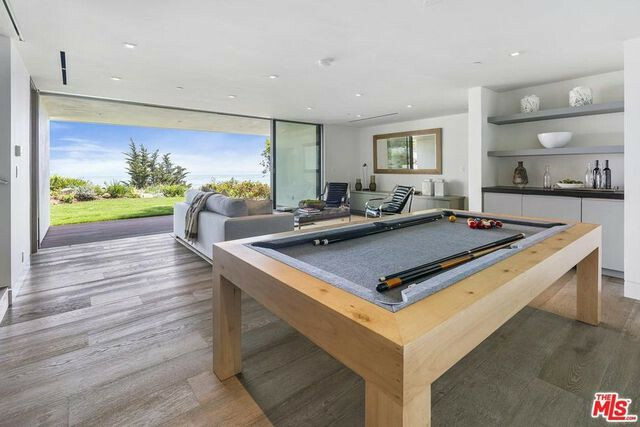 “This type of turnkey, modern home, with high-end amenities, luxury, function and location, is extremely rare in Malibu,” he says. Someone will find it ideal. Michael Landon died in 1991 at age 54. Perhaps best known for playing Little Joe Cartwright in the TV series “Bonanza,” he went on to star as Charles Ingalls on “Little House on the Prairie.” After that, he executive produced, wrote, directed, and starred in NBC’s “Highway to Heaven,” before he was diagnosed with pancreatic cancer. 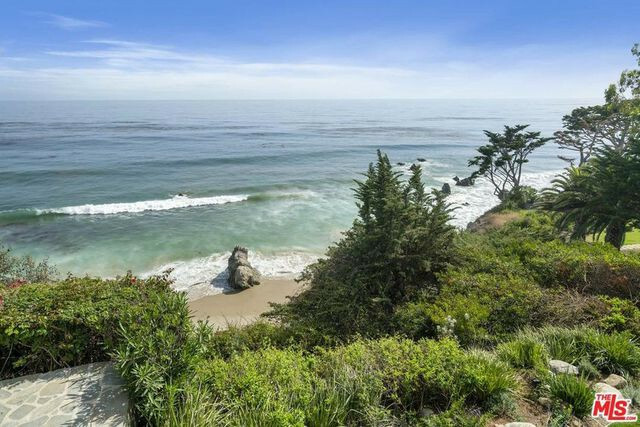 The post Michael Landon’s Widow, Cindy, Selling Gorgeous Malibu Home appeared first on Real Estate News & Insights | realtor.com®.